I think that is the truth about forever. There really is no one definition. It's just there, and it's happening all around you, at every second. 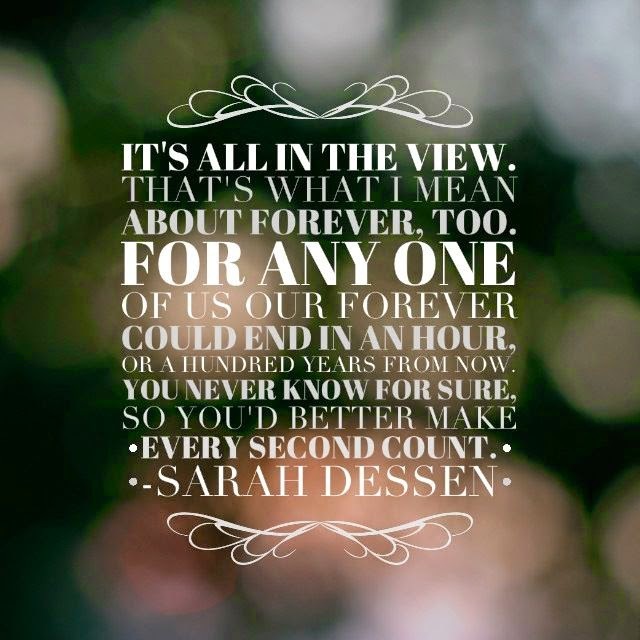 And you'd better start making your forever count, because it could all end in a second.